Modern sloping roof house architecture in an area of 2250 square feet (209 square meter) (250 square yards). Designed by Melbin Alex, Kerala. Ground floor area : 1891 Sq.Ft. First floor area : 431 Sq.Ft. 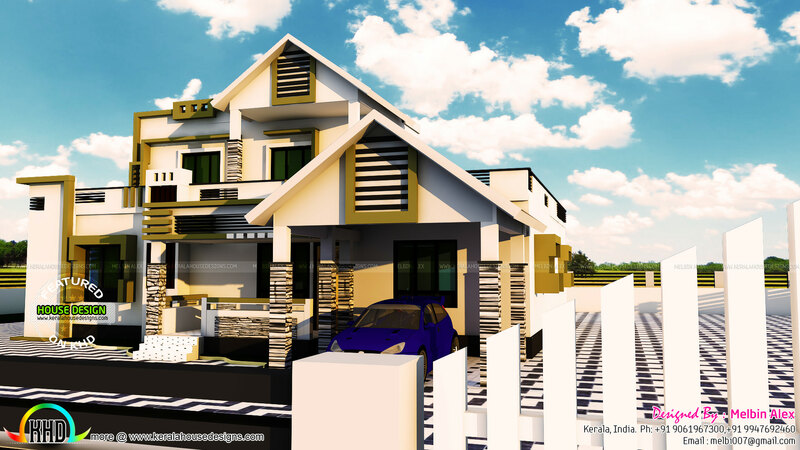 0 comments on "New home at Mavelikara, Alappuzha"